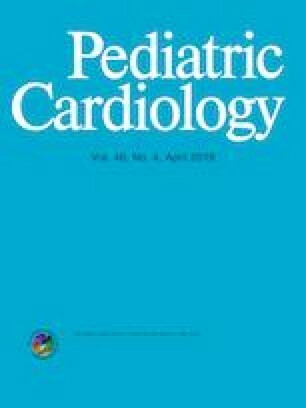 Heterotaxy syndrome is associated with complex cardiac malformations and cardiac conduction system abnormalities. Those with right atrial isomerism (RAI) have dual sinus nodes and dual atrioventricular nodes predisposing them to supraventricular tachycardia (SVT). Those with left atrial isomerism (LAI) lack a normal sinus node and are at risk of sinus node dysfunction (SND) and atrioventricular block (AV block). We report the occurrence and risk factors associated with arrhythmias in heterotaxy syndrome. A retrospective review of all heterotaxy syndrome patients born and treated at our institution between 2000 and 2014 was performed. A total of 40 patients were identified; 16/40 (40%) with LAI and 24/40 (60%) with RAI. There were 12 deaths during follow-up [LAI 3/16 (19%), RAI 9/24 (38%); p = 0.30]. Twenty-one patients had arrhythmias during a mean follow-up period of 5.4 years; 14/16 (87%) in LAI and 7/24 (29%) in RAI (p < 0.001). Freedom from arrhythmia at 1,3,5 years of age was 75.0%, 37.9%, 22.7% in LAI, and 83.3%, 77.5%, 69.6% in RAI, respectively(p = 0.00261). LAI had a three-fold increase in developing arrhythmias. Left atrial isomerism was the only factor identified to be associated with arrhythmia occurrence. Arrhythmias were commonly seen in heterotaxy syndrome particularly in left isomerism with more than half of the patients having arrhythmias by 3 years of age. Atrial situs was the only risk factor identified to be associated with arrhythmias, and close follow-up is warranted in these patients. Informed consent was waived given the retrospective nature of the study in accordance to the research ethics committee at the University of Tokyo.